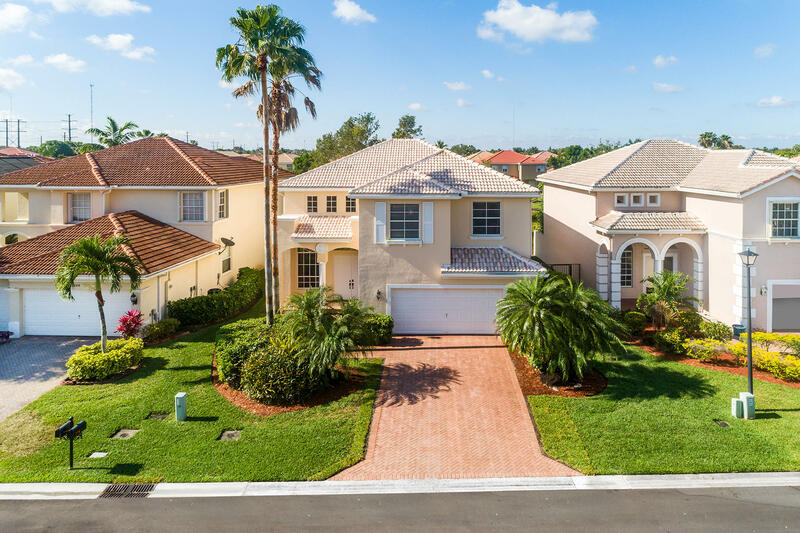 All ORANGE GROVE ESTATES / WE homes currently listed for sale in Wellington as of 04/26/2019 are shown below. You can change the search criteria at any time by pressing the 'Change Search' button below. "This is the one. This exquisite home w/ a gorgeous lake view is in the highly sought after Village of Wellington, with 'A' rated schools. Double entry doors, a soaring ceiling, & huge windows fill the home with sunlight. An impressive double landing staircase leads to your private oasis; an immense master suite, w/ lounge area, walk-in closet, & luxurious master bath. Fenced yard & 2 car garage w epoxy flooring seals the deal. Bonus, HOA includes Cable W/HBO, internet, alarm monitoring, virtual guard gate, community tennis courts, clubhouse w/ state-of-the-art exercise equipment, community room & large pool. Close to restaurants, international equestrian events, Wellington Mall, Golf, Wellington Regional Hospital and, of course, only minutes to the beach. PRICED TO SELL QUICKLY."